In last week’s review we suggested you get in touch with Twitter for my tweets and for my son, Ray Cotolo’s tweets. A strong list of winners accompanied our suggestion, taken from Ray’s picks, on his own Twitter page and tweeting @TwinSpires. We can only hope you got on board because this past Friday Ray shocked fans as well as the staff at the Meadowlands with a monstrous strike. On Feb. 17, as the social networking horse handicappers mulled over the Meadowlands early races, all of them strongly disagreed with a horse Ray suggested would win, as well as they disliked his choice for the horse that would complete the exacta. Egg was seed on everyone’s face when Bell On Wheels won the third race at the Big M and paid $63.40. The jaws kept dropping as his exacta was completed when Bragn Dragon came in second at 13-1. This exacta paid $692.20 for $2. That was the start of a night where Ray also produced Dragon Princess, paying $26 and Jaime Sue, paying $7.20. You can follow Ray’s choices at Twitter and watch for Pick-4 winners (spot plays) at Racing Inquirer. Mine are floating out there, too, a spinoff of my weekly harness-review blog @FrankCotolo. Between these sources you may find yourself with some choices for exotics and win bets that you make on TwinSpires and some of them may not be on our published blog, as they are the result of late action. It doesn’t cost you anything to be included in our Twitter picks and Horses-to-watch (H2W) lists, as TwinSpires supports our campaign to give you the best information for betting that is available anywhere. 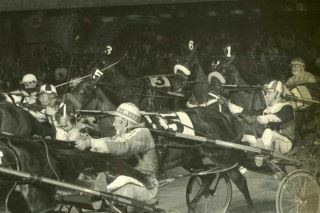 From our blog, our not-so-enthusiastic suggestions at the Meadowlands were unproductive and at Woodbine nothing panned out. The TSC Elite points are going for 10X with winning $10 tickets at Woodbine again next Saturday. Next week we will update the Watch List (H2W) for a few tracks. At Cal Expo, the no-takeout Pick 4 presented two scratches in our six-contender combo. Our two choices in the first leg won and finished second. Sun On The Rocks paid $6.40 and with Sonic Wave second the exacta came back $11.80. In the second leg our single scratched. If you went to the favorite you had a winner in Mystically Mine (also from the H2W list at the track), which paid $4.20. In leg three our 12-1 single finished sixth and in the final leg one of two of our choices scratched and the other broke at the start and finished seventh. On the same program, our H2W list produced Dreaming Of Amy ($3.80) and Franky Provolone ($2.20). Friday night offered Roger J ($28.40) and Komoda’s Fantasy ($7.20). We keep our Pick-4 suggestions on our H2W for future win bet, which you can see from the list above can result in decent win bets and exacta keys. If you have a Facebook account you should know you can be connected to TwinSpires there as well as Twitter but did you know that a great number of people in the harness business also have Facebook pages? Although Facebook tends to discourage trying to make friends of people one doesn’t know, a simple email explaining you are a fan along with a request to be added as a friend could get you a social-networking connection to someone in the standardbred industry. You could go to my Facebook page and peruse my friends to find some of the high-profile harness folks that you may approach. Most of them are great ambassadors for the sport and more than willing to accommodate fans as Facebook friends. More good news for Illinois: The business figures at Maywood Park have been more than encouraging, especially on Friday nights. Maywood, the Chicago half-miler that alternates harness programs with upstate Balmoral Park, has seen an increase in handle of 16.9 percent compared to the same dates in 2011. Through Feb. 11, the track reports, Fridays at Maywood are averaging $1,027,864 compared to $879,561 in 2011. Business has been helped, some feel, by an increase of almost one horse per race in the fields. Fridays in 2012 have averaged 8.27 horses/race compared to 7.39 horses/race in 2011. Gaining in popularity, also, is the Maywood Pick 4 wager. The average 2012 Friday Pick 4 pool is $13,289 compared to $6,537 for the same dates in 2011, resulting in an increase of over 103 per cent. Maywood offers a guaranteed Pick 4 every racing with a low take out of 15 percent. At 23, Matt Kakaley became the youngest driver in harness history to win 2,000 races. He did it at Dover Downs, where Kakaley was handling We The People. 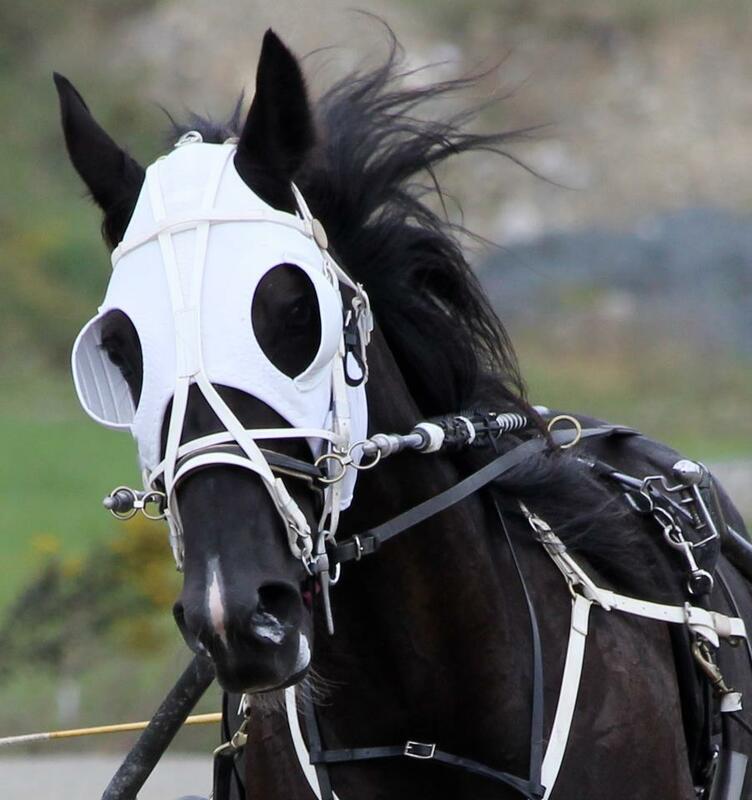 Kid Kakaley can be seen racing in Delaware and shooting down to the Meadowlands as well these days. He broke the record held by Tim Tetrick, who was 24 when he totaled 2,000 wins.